Do you ever have the feeling that you are not being who God made you to be? Not being yourself; not being unique. Of course, one doesn't fulfill their full potential that the Lord has for them. Not ever. We are human. So weak and changeable. But each on of us is unique. 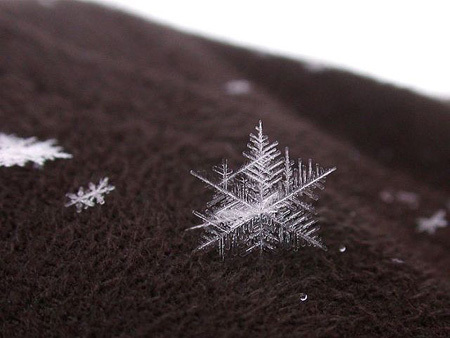 Just like a snowflake. Or a kernel of popcorn. The Lord made us in His image. But so often in this world, we get distracted; we try to copy what others are doing; what the world sees are 'stylish' or 'neat'. When all the Lord wants us to do, is focus on Him. To use our different talents and gifts to please and honor Him. To be who we were made to be. I have found, over the past months, that I am trying to do what the world finds 'neat'; trying to fit in; envying others abilities and gifts; not striving to be who the Lord made me to be. Awesome post, Mikailah, and very inspiring. Thank you for sharing. God bless you! This was wonderful! A beautiful reminder. Thanks for sharing. I want to thank you both for all the lovely comments that you placed this year on my blog. That's very special to me. So far away - across the ocean - yet the same Saviour to praise. Great! In my language the word 'unique' sound the same as in your language. Just you write it differently. I write is so: uniek. I wish you, your family and all the readers from your beautiful blog a Happy New Year! The time here is 0:00. It's 31-12 now.